Custom built. That’s one of the many reasons our customers refer us to other customers. We don’t tell a customer what they need to do or what to do: we work with them on customizing a building that they want. While site location,city/county compliance, budget, etc. 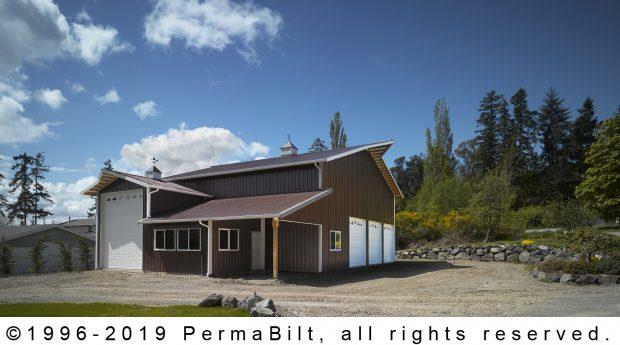 obviously plays a factor in what ultimately is erected, our PermaBilt® Building Representatives work to gather the information needed to help design the building that works for the customer. 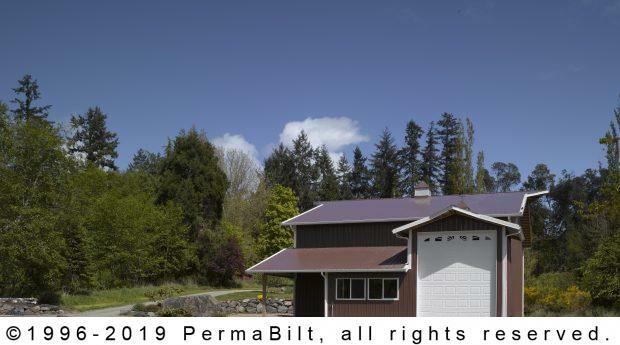 This Longbranch customer met with our PermaBilt® Building Representative, a 25+ year employee, and went over his needs and walked the building site. Then they together went to see a completed building nearby. After some iterations, this unique design was created by the Building Representative - an RV garage with a shop and plenty of storage - creatively serving all of the customer’s needs, site conditions and budget.